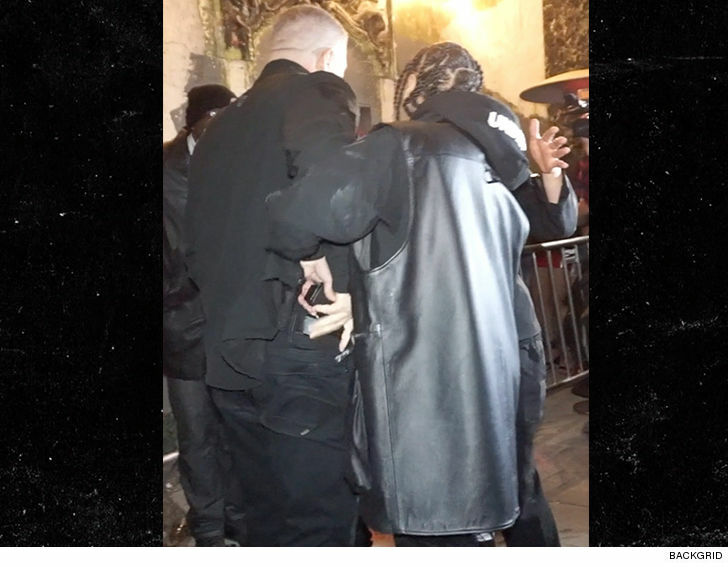 We broke the story ... Tyga was physically removed from Floyd's 42nd birthday party at the Sunset Room on Saturday night after getting into a heated altercation with another man inside the event. Our cameras captured a FIRED UP Tyga as he reached into his security guard's gun holster and tried to grab the pistol. Fortunately, the quick-thinking guard snatched the gun from Tyga, preventing what could have been a deadly situation. Our sources tell us ... Tyga was furious after being accused of missing payments on a fancy Maybach car. He flipped out. Tyga says the two sides later talked things out and everything is cool now. So, when we saw Mayweather at Ace of Diamonds in L.A. on Monday night, we asked if Tyga will be blacklisted from future Floyd events. "I don't care that Tyga got in a fight in my party ... guess what?! It was good publicity for my party!" 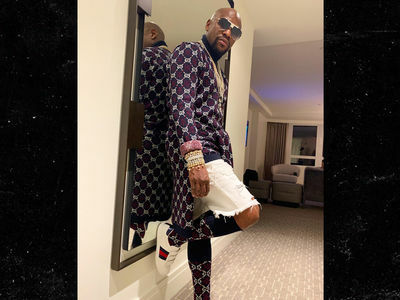 Floyd also says he'll be invited back for the next shindig -- and doesn't really seem too worried about possible gun violence. After all ... it's not the first time Floyd's been close to a situation involving firearms. Remember, last year someone opened fire on Floyd's entourage in Atlanta, striking his bodyguard, Greg La Rosa. Fortunately, Greg recovered from the attack. No one else was injured -- however, no arrests have been made.